It was a cold winter afternoon in 2008. I was sitting on my then-girlfriends’ couch with a laptop when I came across something that would change my life forever. I was never much of a reader, but there was something about this platform that kept me engaged, that kept me reading and learning and thinking and dreaming. That was the start. Ever since, I’ve read thousands of blog posts on hundreds of blogs and today I’ve compiled a list of 10 blog posts I’ve read over the years that have made a significant, everlasting impact on my life. Back when I was first discovering blogs, I remember stumbling upon this Retire@21 post. Not only was it my first encounter with one of Michael Dunlop’s sites, it completely reshaped what I wanted to do with my life. It’s a list of the richest young entrepreneurs in the world. One thing they all had in common is that they were almost entirely internet-based. I credit Michael’s list with inspiring me for the first time to look into becoming an internet entrepreneur. Around that same time, I came across another site called, Blogussion. At the time, I wasn’t particularly interested in blogging. I just wanted to become one of those internet entrepreneurs. This site, however, convinced me that one of the best ways to get started online was with a blog. 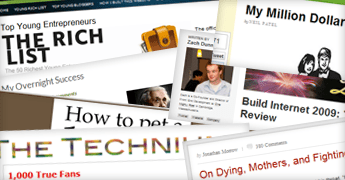 The first day I found Blogussion, I spent over eight hours reading Alex’s posts. Right before I went to bed, I decided to send Alex an email asking him how he built his site (even mentioning Michael Dunlop). It was the first time I had ever reached out to a blogger, so I didn’t know what to expect. A few days later, he wrote this post based on my email. For the first time I recognized how awesome it would be to cultivate a community of like-minded folks through a blog. Quicksprout was another one of those sites that I’ve read for years. And one of the first Quicksprout posts I remember reading was Neil detailing the biggest business mistake he has ever made. I took quite a few business lessons away from this post, but what I truly learned was that people like to read about other people’s failures. They like to know that even people they respect make mistakes. From a blogging perspective, one of the most effective ways to connect with your audience is to reveal the things you’re not proud of. I had been following Michael’s (and many others’) sites fairly closely for a year when Michael wrote this post detailing his “overnight” success. In the post, Michael walks through all the different businesses he dabbled in before he ever started IncomeDiary. Michael ran sites for 4 or 5 years before he even started IncomeDiary in 2008. By this time, I had my own site and I was struggling to get even a couple thousand people a month to it. It was refreshing to read about all the hard lessons Michael learned along the way and to realize that there’s no such thing as overnight success. Like IncomeDiary, Copyblogger has had a profound impact on how I see internet marketing. This is the first Copyblogger post I remember reading. In it, Jon Morrow picks apart 21 different routes you can take to be more interesting. I have this post as a featured bookmark in Chrome and I often revisit it to brainstorm new ideas for blog posts. Kevin Kelly originally wrote this blog post in 2008 and it has since become one of the most influential blog posts of all time. 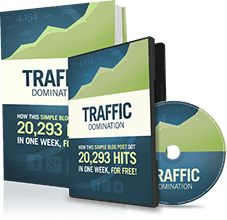 The premise is that you only need 1,000 true fans of your business to make a full-time income doing just about anything. I remember reading it a few years ago, and for the first time I was convinced that anyone could become an entrepreneur selling almost anything. I’m not particularly fond of petting cats, but this comic captured my imagination and gave me a whole new outlook on creating quality content. When Matthew originally created this comic, it went viral with almost 400K Facebook Likes. So he turned it into a poster and started selling the poster with a link at the end of the comic. A funny comic that was relevant to a lot of people became a sales page that people wanted to read and share with their friends. You should have that goal with everything you write. BuildInternet.com had an incredible first year in 2009. The Dunn brothers and crew managed to write 178 blog posts and gather over 1.75 million visits. This post details a few fun facts about the site, walks you through the evolution of the design, and gives you an inside look at many of the stats around the site. This post made such an impact on me because it was the first time I remember seeing a site so generously provide the stats around their success. There’s a lot to learn from simply knowing those numbers. Pat Flynn is, perhaps, the best blogger in the world when it comes to creating every form of content: text, images, audio, and video. Now that embedded videos are starting to show up in search results, video blogging is more important than ever. In this post, Pat walks you through exactly how he creates many of his videos. Prior to reading this post, I always viewed video as something only the big guys could do. But now I can see how simple it is to create professionally produced content with only a few pieces of software. If you only have time to read one of these posts, read this one. I’d write a summary for it and describe how it has impacted me, but that wouldn’t do it justice. You need to read it for yourself. A great blog post is like a great song. You always remember the first time you read or hear it. And the truly great blog posts make such an impact on you that you remember them forever. Don’t you want to create that sort of content? Do you have any blog posts that made such a profound impact on you that you still remember reading them for the first time? This is a great list, and will keep me busy for awhile. How’d you like the snow so far this year? I’m in Denver also. Best of luck out there. Hey Michael! I enjoy the snow. Not sure if you’re a skier. I went to Winter Park this weekend and they can use a lot more of it. Thanks for sharing these Nicholas, I had read 7 of them before, so I just checked out the other 3, and they are truly inspiring, specially the How to Pet a Kitty, it makes the entrepreneurial engine work in my brain! That’s the great thing about great content. As you read it, it’s so good that you stop comprehending it and only think about how you and your business can benefit from the information. Like a good book, after awhile, you don’t even realize you’re reading it. I know, Dr. Kavita. Blogs have had a significant impact on my life already and I think more and more people will begin reading them as we produce content like this. Your success story is very inspiring me and I never miss to read your articles. Thank you very much for sharing. You’re welcome, Wayan! I’ll see you around. Thanks for sharing and inspiring..esp the mother’s story. True warrior spirit. Thank you. Yeah, Jon Morrow is one of the internet’s most brilliant people. I didn’t even realize he was paralyzed until I read this post. That’s the best blog post I’ve ever read. Thanks, Nicholas, for an inspiring article. I was able to get some great ideas from Copyblogger that I can apply right now to my writing. And, of course, Jon Morrow’s article sparked the fighting spirit in me. I’m glad, Laura. It’s fascinating that a certain combination of thoughts and words can inspire us to take action. Nick, incredible round up and many of the same articles have had a significant impact on me as well. I remember very early on coming across income diary and thinking “Wow, this kid really knows his stuff…” and he turns out to make some of the most useful tools for the internet. How to Be Interesting was the defining moment for me, it literally shaped everything I do. And now, being able to write for and be mentored by some of the very people who I thought “These guys are phenomenal!” is so very cool. And that I’ve known you since the very beginning, maybe even a little earlier than the beginning of my career, only sweetens it that much more. Thanks so much for your contribution to the space, and I look forward to working with you more. Same here, Tommy! It’s pretty neat getting to work with the person who originally inspired you. And I remember you sharing How to Be Interesting on Facebook. Looking forward to reading more of your posts here. wow – i love your blogs. I have shared them with many people. I hope to be on your 10 blog posts that made an ever lasting impression next year. I have several blogs and am a true student. love that fact that we can freely express ourselves without having to worry that someone is going to knock on the door and lock us up! Isn’t that freedom by definition?! It’s scary that this freedom can all come crashing down with the SOPA nonsense in two weeks, but I’m confident they’ll get their act together. Be sure to let me know when your TED talk is up! Jon Morrow is da Man….The best damn writer I have met!! Haha… He’s the best writer I’ve never met. His posts are borderline poetic. Tart, these posts have changed my life too and the last link is very empowering. Its a true story that has made me to dig deep into the mine of my soul. Thanks again Tart and keep up the good work – great posts, epic content. Epic content, eh? That’s the goal. Thanks :). I just finished writing a similar post too. Fortunately, the rich list by Michael Dunlop made my list as well. There is brilliant advice here. My favorite quote from Michael Dunlop is so important: Entrepreneurship is about solving the problems of society, not starting a business for one’s own sake.